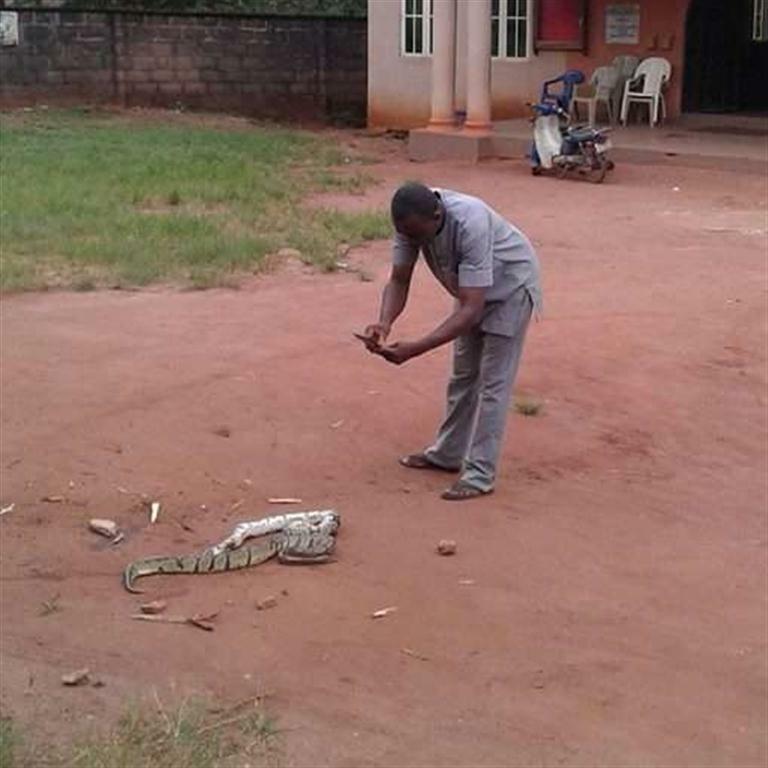 It has been reported that Two pythons went at each other while prayers went on inside a church in Nnewi, Anambra state. A newly appointed clergyman Evangelist Chibuzo Fredrick shared a post on Facebook alleging that the two snakes which are now dead where fighting outside the church while prayers went on inside. He suggested that it was a sign of spiritual warfare.